Masahiro does NOT want to stop and smell the flowers, thank you very much! 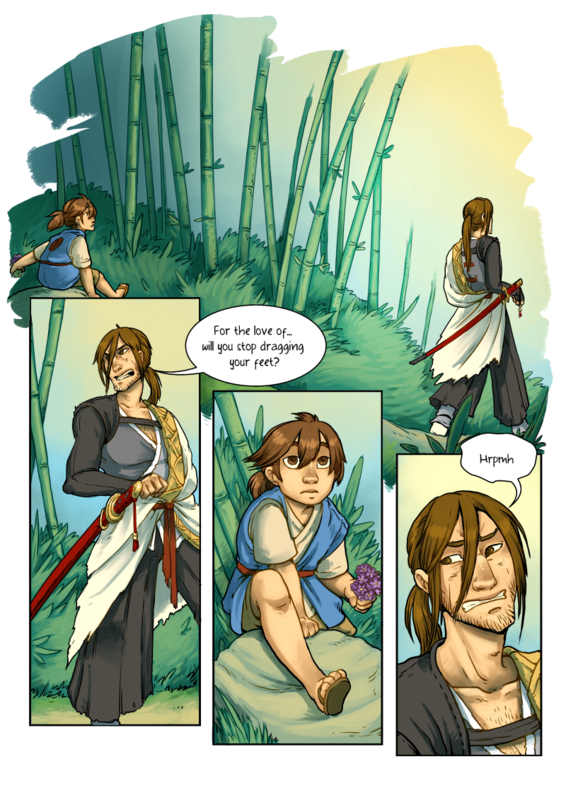 If you’re enjoying Grassblades, I invite you to please consider supporting it via Patreon, or by buying a PDF of the first chapter off of Gumroad. Every little helps!